Greetings from India! It’s my final night in Delhi, before I head to Sri Lanka. 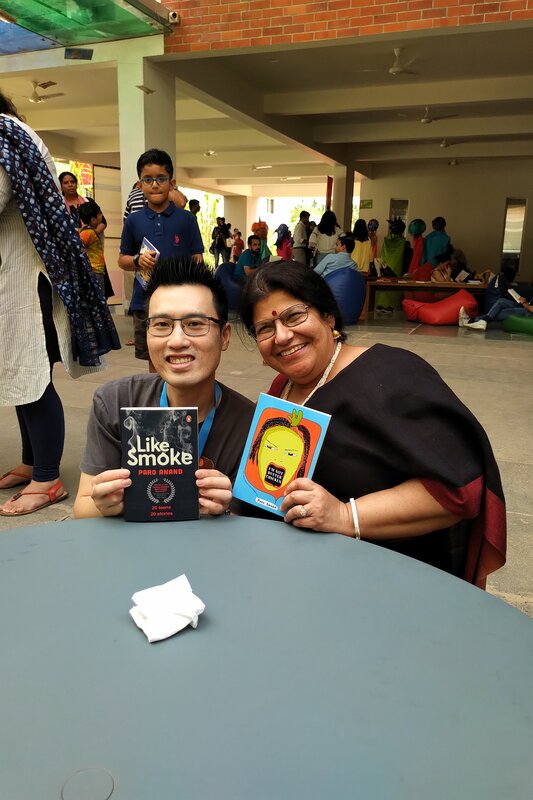 The NEEV lit fest wrapped up a few days ago and wow, what another wonderful celebration of children books! The festival may have only been in it’s second year, but it’s shaping up to be a beacon that shines the spotlight on reading in Bengaluru. This is my second time to India, after visiting Delhi for Bookaroo in 2014. So I was prepared for Indian kids who have so much energy and are buzzing with ideas and questions. You don’t have to do much to get these kids excited haha. 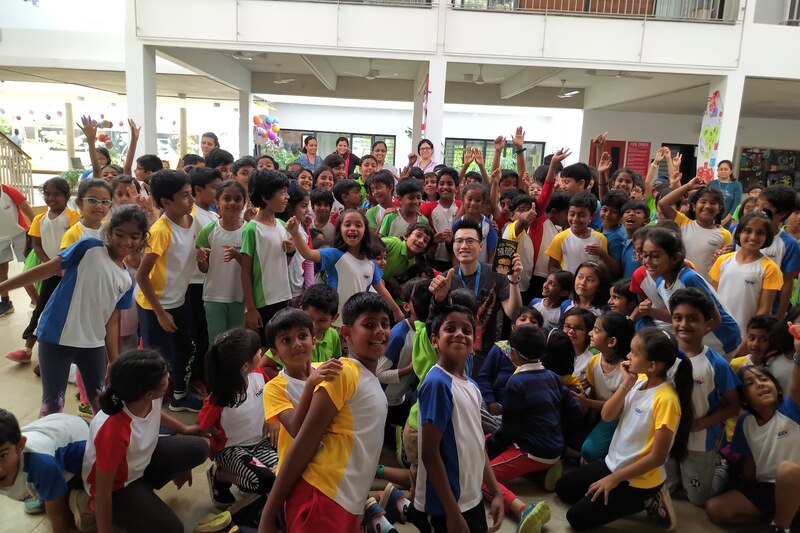 I did a short talk about my books on my first day in Bengaluru, just to give the kids a taster before the actual festival begun,where I did some funny writing workshops. It turned out to be a masterstroke because everyone knew who I was now haha. With over 70 visiting guests and a whole army of teacher and parent volunteers, it was a whirlwind of introductions and conversations. I am so impressed with how many international authors they managed to get such as Jess Butterworth, Kate Darnton and David Melling, but I also got to meet some cool Indian authors and illustrators too. I took ages picking out books in the gigantic bookstall (that was more like a triple-story bookstall haha) from the Indian children’s literature scene. It continues to go from strength to strength. Perhaps I’ll tackle that someday in a future blog. The second and final day was open to the public, and nothing can ever prepare me for the onslaught of kids who are no longer restrained by their school uniforms. I really felt like a rockstar, walking around. I could get used to this hehe. I had a short reading session in the morning of Day 2, dipping into each of the books in front of a packed room full of kids and adults, and it’s nice to make them all laugh 🙂 By the afternoon, all of my books had sold out! 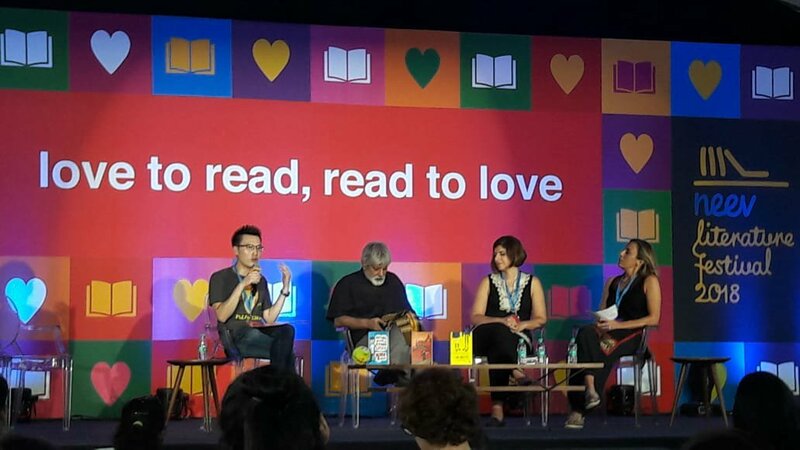 At the main tent, there were some panel discussions that delved deeper into children’s literature. I sat in on a panel about inclusiveness. When a child reads a book about themselves, they feel empowered. These are heavy subjects but they are fascinating nonetheless. I was moderating a panel called Shape shifting, exploring migration and identity in stories. I didn’t have to do much, I just laid a few questions and let Kate Darnton, Jayant Kripalani and Nadia Hashimi do all the talking haha. Half of us tackled it from both ends. Kate and I are talking about simple transition of culture shock when we move to a new country (Kate lived in Delhi for 5 years, which inspired her story Chloe in India) where Jayant and Nadia touched upon the refugee experience, and about how hard it can be to quickly be forced to leave and keep on moving until you find a sort of home. So I left Bengaluru on a plane to Delhi and then got driven to Agra, for the Taj Mahal. 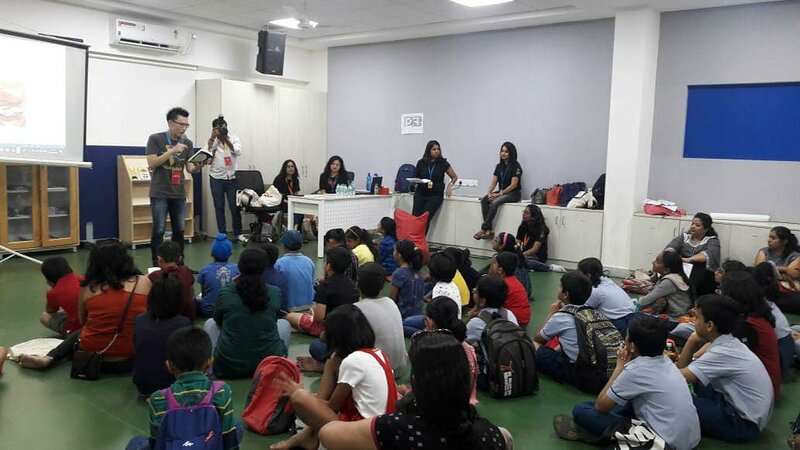 But I think the NEEV festival is the real highlight for me (just by a whisker haha), because I got to tap into India’s vibrant children’s literary scene. As one teacher noted, you feel intelligently intoxicated! 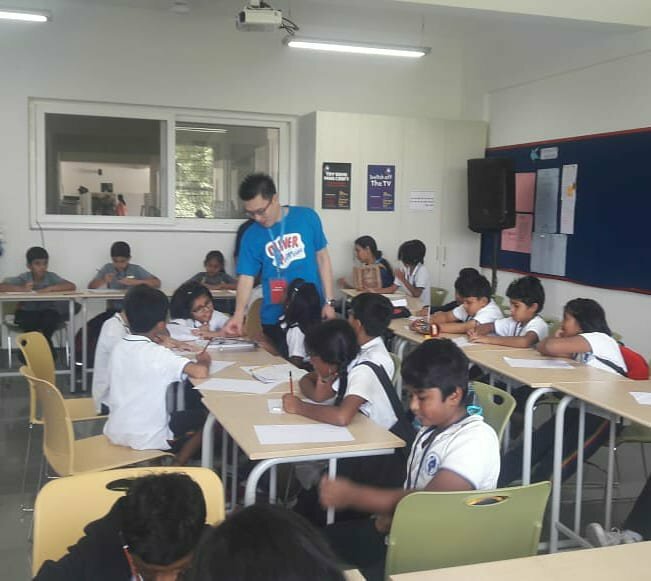 Festivals like NEEV are really helping to build up a future generation of readers. I spoke to Kavita, one of the main organisers and she said that she wanted this festival to target kids who were not readers. The ones who resisted books, until they were forced to read one before the festival. I wonder if they started with Thai-riffic and who knows which cHEwY gum gum will be a reader for life because I gave them the spark. If we can get one kid to turn around and start reading, then this festival would have been worth it. But honestly, it’s festivals like NEEV that makes you realise how powerful children books can be. Read to love or love to read? Either way, you’re a winner!